I asked my friend and college teammate Julie to write up a guest review on the Saucony Grid Type A4 racing flat, which has become her trainer of choice. After college, Julie took her running in a completely different direction than I did, returning to the trail running she had done outside of NCAA running, getting involved with ultradistance races, and experimenting with minimalist shoes, including various flats, the Vibram Five Fingers, and running completely barefoot. While I did a review of the Nike Free a little while ago, my review still came from the perspective of a shod road runner. As far as minimalism goes, Julie is the real deal. So, for all you trail runners, ultrarunners, and minimalist fans, this review is for you. I pretty much exclusively run trails, and mountains. Many of our trails are rocky with a layer of sandy dirt on top. My three main training routes average between 15 and 25% grade, and runs are between 3 and 26 miles long. Of course, this terrain was probably not what Saucony was thinking when they developed the A4, but for me it works. The shoe feels like a sock, and the sole provides adequate protection from rocks, branches, pebbles, etc. The more flexible of a shoe I wear, the less chance I have of developing Achilles tendonitis, and I have had no issues with the A4. I would rate the sole flexibility as very high. It allows sufficient ground feel, which to me adds to the fun of mountain running, while allowing me to fly down trails with less regard for foot damage than I need in Vibram Five Fingers, increasing my descent speed drastically. I had four major concerns about this shoe when I first tried it on. First, the heel cup is very high in the back. Some people seem to think you should just deal with blisters until the skin gets tough enough. I think the shoe shouldn't cause blisters at all, and it's lame if it does. Unfortunately, this turned out to be a real problem with really low socks, but I decided the rest of the shoe is awesome enough that I will just wear higher socks. Second, there are actual holes in the sole of the shoe (to save weight?). Almost all of the time, this is okay for trail running. Every once in awhile, a small rock gets stuck in one of the holes, which I only notice when running on pavement at the very end of my runs, and they are usually pretty easy to pull out. Even more rarely, but a lot more annoyingly, sometimes I will land on a pointy rock that somehow finds its way directly into the hole, stabbing me in the foot. Someday I think this is going to be a real problem, but so far I've only suffered minor bruising. Third, durability was a big worry. These shoes are light due to their EVA sole, which isn't exactly ideal for trail running. Surprisingly, somehow the shoes are holding together. I am definitely on the lighter side of trail runner build, so that might have something to do with it, but the sole is staying together! Yay! The little dots that pretend to be traction haven't fallen off! This is awesome. Good job Saucony, I am shocked they are still together. Lastly, when it comes to traction, well, its a road shoe. I've found that huge lugs on the bottom of a shoe are rarely necessary (mud and snow being the exceptions), and I think most shoes would slip on the sand/rock combination on some of the trails I run. Yes, I'd like better traction but not at the cost of weight or flexibility, so I'll make that compromise. The upper is pretty awesome, I have no complaints here. Its extremely breathable (huge mesh holes), which is awesome for running in the desert. They are white, so they reflect the sun, not absorb it (black shoes...i.e. black five fingers...in the desert sun are not fun). There is elastic on the side of the shoe that is just the right tightness to comfortably hold the tongue, and your foot, in place, without causing blisters, even barefoot. I've had no issues with laces coming undone, unlike some other brands. From a "barefoot movement" perspective, lots of people care about the heel to toe drop...the difference between the height of the heel and height of the toe. Barefoot gives you a zero drop stride. Lots of shoes are around 12mm+. I wanted to stick with smaller since Five Fingers are pretty close to barefoot, and the A4 has a 4mm drop. This means the shoe has a different feel than a lot of running shoes out there. It doesn't have a thick sole to begin with, so you get a very close to the ground feel. I consider this a big plus for trail running so I can feel what I am doing and am less likely to trip and fall. Overall, the A4 is super light, super flexible, and still provides some protection from the mountain trails. They just feel good on my feet, as long as my socks are high enough to protect my heel from blisters. They don't force me to change my stride to compensate for the shoe, which is critically important to me (otherwise I feel like I can't move my feet and running stops being fun). If you've only worn heavier, more protective shoes, then this probably isn't the best shoe to start mountain running with, but if you have some experience in mountains or experience with training in lightweight shoes, I highly recommend them for trail running. I would not recommend them for running in the snow due to the holes in the bottom and the mesh upper. The A4 has turned into my #1 training shoe, with five fingers runs mixed in to keep my feet and calves extra strong. I'm still looking for a good mud shoe though. Disclaimer: I am not an expert and if you get hurt, please don't blame me. 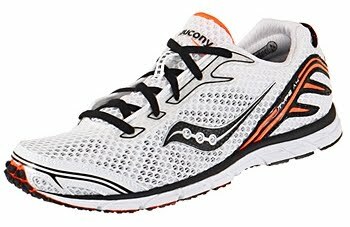 The Saucony Grid Type A4 retails for $95 and is available on the Saucony website, as well as at many running stores that carry Saucony products, including the National Running Center, where it is on sale for $79.99 (NRC has some sizes listed as out of stock, but give Rob a call at 1-800-541-1773 between 8am-8pm M-F or 10am-5pm Sat US Eastern Time, and he can order you a pair if necessary). It is available in both men's and women's sizing. I am not certain on how this shoe fits, so go to Julie's blog and bug her if you want details. Full disclosure: Julie purchased these shoes herself, and the opinions expressed in this review are hers and based on her experience, and do not reflect the opinions of Saucony or the blog's regular author. 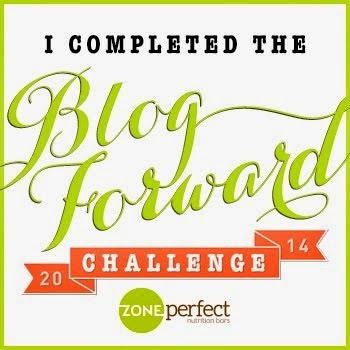 Julie chronicles her running and other adventures on her blog 2. Travels b. An account of one's journeys. If you enjoyed her review and want to read more, check out her blog. Great article! Thank you for sharing this! Keep it up! Thanks! Glad you enjoyed it! I'll pass along your message to my friend...she has since integrated the Peregrine into her lineup too. You're really awesome! Thank you for sharing this another amazing article. Keep it up! Thanks for the insight! I figured that's what the holes are for (a la steeplechase spikes), I just figure that Julie uses them for something very different than their intended purpose!